Robert Bloom Service Details - Bellefonte, Pennsylvania | Wetzler Funeral Home, Inc.
Robert Carl Bloom, 47, of Bellefonte, passed away suddenly on Wednesday, September 12, 2018. Born on June 17, 1971, in Clearfield, he was the son of Carl R. and Lucy A. (Schurer) Bloom, who are both surviving at their home in Jersey Shore. On July 27, 1996, in Jersey Shore, he married the love of his life, Cara (Wehler) Bloom, who survives at home in Bellefonte, after sharing 22 years of marriage together. Robert was a 1989 graduate of Jersey Shore High School. He obtained his bachelor’s degree in Engineering Science from Penn State in 1993. He worked as a mechanical engineer and project manager in the office of OPP at Penn State for 16 years. In addition to his wife and parents, he is survived by two sons, Reece Bloom and Galen Bloom, both of Bellefonte; three brothers, Randy Bloom (Kim) of York, PA., Guy Russell Bloom (Lisa) of Memphis, TN., and Rick Bloom (Lisa) of Jersey Shore, PA.; mother-in-law, Marilyn Wehler, and brother-in-law, Bob Wehler (Pam), all of Jersey Shore. Also surviving are numerous nieces, nephews, aunts and uncles. Robert loved his family more than anything. He treasured the time that he spent going fishing with his dad and his boys. He was a man of deep faith and was a member of St. John the Evangelist Catholic Church in Bellefonte. He was a huge fan of PSU wrestling and anything that had to do with the Civil War. He enjoyed playing games – and winning, woodworking, Avengers and Marvel movies with his boys. There will be a public viewing held on Friday, September 14, 2018, from 5-8 pm with a wake service at 8pm at Wetzler Funeral Service, Inc. at 206 N. Spring Street in Bellefonte. Mass will be held on Saturday, September 15, 2018 at 9 am at St. John the Evangelist Catholic Church at 134 E. Bishop Street, Bellefonte. Burial will immediately follow at Jersey Shore Cemetery at 1103 Locust Street, Jersey Shore. Memorial contributions may be made in Robert’s memory to St. John the Evangelist Catholic Church at 134 E. Bishop Street, Bellefonte, PA 16823 or a charity of the donor’s choice. 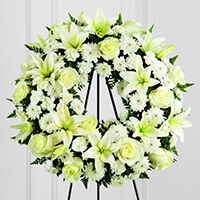 To send flowers to the family of Robert Carl Bloom, please visit our Heartfelt Sympathies Store. Additional Information	Wake Service will be held at the funeral home at 8pm immediately following the viewing, with Father George Jakopac officiating. Just found out about Rob. I got to know him working for PSU over the last two years and found him to be such a great guy especially in the construction industry. We need more people like him in this world and will be greatly missed. My sincere condolences to Rob's family in this heartbreaking time. I got to know Rob over the years at work and can say with all honesty he will be missed by many. A great guy, devoted family man, and avid baseball fan. I will miss our baseball conversations and the smile he always had discussing it. There are no words to express our deepest sorrow for your family. Every time we would see Rob drop Galen off for class it was apparent how much he adored him. He would send him off with encouragement and a smile. Rob's smile and how he would greet us and others is not something we will ever forget. May you find comfort in one another and the memories you all created together. We send you peace and love. Cara and Family, I am so very sorry for your loss. Rob was one of the most truly genuine guys I had the privilege of knowing growing up, an amazing teammate and an even better friend. While our paths didn't cross all that often since high school, it was easy to tell that he was that same incredible person every time we did come back into contact with each other later in life. Words can never adequately satisfy your feelings of pain and sorrow at a time like this, but my hope and prayer is that you will hold on to all of the great memories you and your families had with Rob over the years and cherish the Love and enjoyment he shared with you all. I know Rob left a lasting impression on my life from many years ago, and I'll treasure those memories until we meet again one day. Please know that my thoughts and prayers for peace and comfort will continue to be with you in the coming days, months and years. God Bless, Tim. We got to know Rob very well working on several big projects together....he was such a good guy, loved his family more than anything in the world. Knowing Rob was a man of faith is some comfort but words can't really express the sadness we all feel. He left us way too soon but he also left a lasting legacy here on earth in the wonderful family he began and the numerous friends and acquaintances who are better off having known him. Our sincere condolences, Bob, Cassie, and Leanne. Dear Cara, Reece, Galen, and all family members, I am extremely sorry to hear of Rob's passing. I enjoyed getting to know him through RCIA (IC-Bastress) when he was preparing to marry Cara. He was truly a wonderful person. All of you will remain in my thoughts and prayers.